Easter wouldn’t be Easter without a strange and unusual egg on the market. 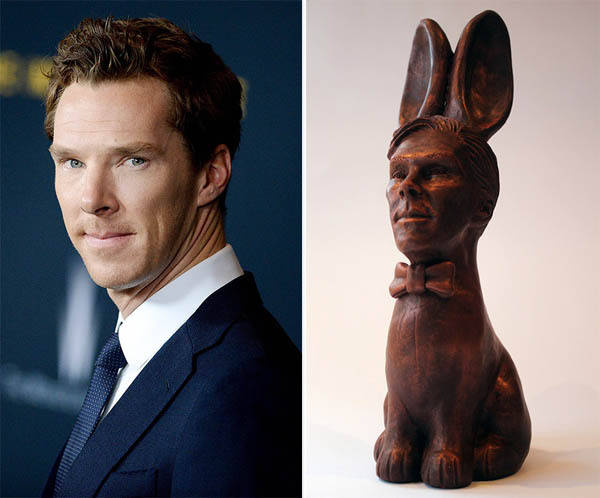 And this year we got “Cumberbunnies” – 400g chocolate Easter bunny with everyone’s favourite detective – actor Benedict Cumberbatch’s head attached. 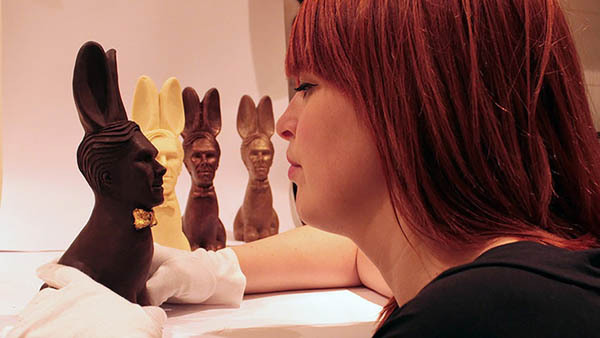 The unique chocolate treat is created by Jen Lindsey-Clark and her team at New York-based Chocolatician who like to “experiment with chocolate and push the limits of how chocolate can be used as a medium to make art and bespoke gifts”. 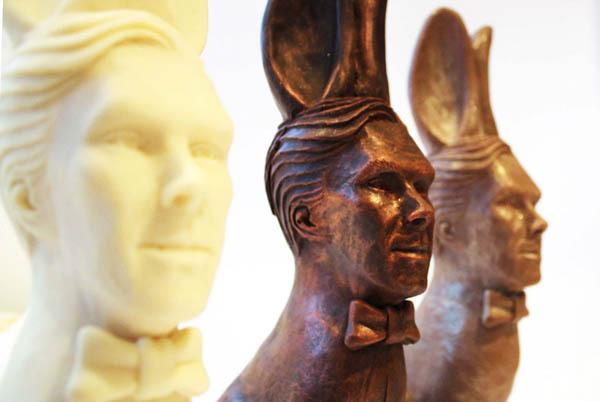 The rabbit/Cumberbatch hybrids have three flavors -white, milk and dark chocolate. In honour of the recent Oscars, the white chocolate ones also come with an edible 22 carat gold bow-tie. 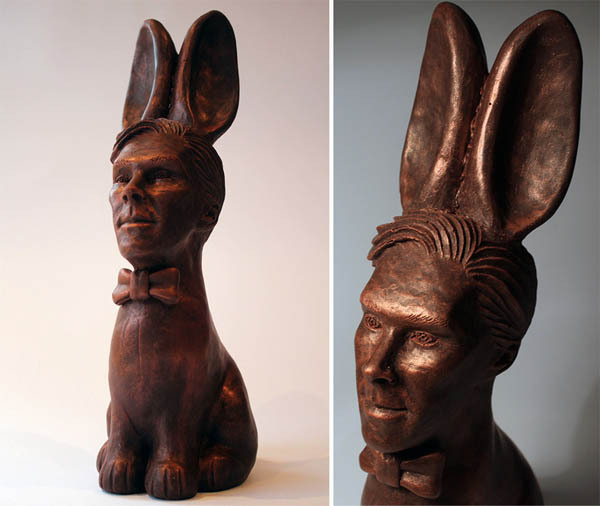 These unusual chocolate bars are described as “a delicious Belgian chocolate rabbit with a handsome face and a tasty bottom”. Alought the £50 is not cheap, Cumberfan might still think it is worth paying the price to have a bite of the Sherlock.